Custom Morphin Zelda Messenger Bag and nice comments from its owner! I did this custom Morphin Zelda last week. Great selection of fabrics for the flaps don't you think? Today I received some nice words from the customer. workmanship is great and the materials seem like they will last for quite awhile. Thank you again for your fast and superb service! I found this incredible fabric, made in Africa, using the wax print method. I love the people, and of course it's the Rasta colors, red, green and yellow. I couldn't wait to make a messenger bag to see how the motif would work. Here is a Zeldina, my mini messenger bag. I think it works just great, don't you? I can make just about any of my bags using this fabric so please feel free to ask for a custom order. As regular readers know, I look for the unusual. I found this tarot card fabric and thought it fit the bill. The art work is beautiful. It's rare, I would doubt you'll find a bag made from it anywhere else. The inner pockets have plenty of room for a deck or two! I continue to find more peace sign prints. I am guessing I have the best selection on the web, no contest! Last year The Ghastlie Haunted House print was introduced and received a great reception. A new print, in the same line is now available. Called Ghastlie Night, it takes us inside the house to see the family! It's wonderful, as you can see here, in the dinner scene, which fits the Tallullah purse so perfectly it looks like it was made for it. I am thrilled to find more mahjong fabric. I had some a few years ago, but it has become difficult to find. Then, suddenly, I found two within the last couple of weeks. Now accepting Mastercard and Visa! 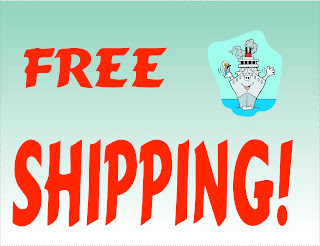 Celebrating with Free Shipping!!! Yup that's right, I can now accept Mastercard and Visa credit cards. I also added Google checkout to the shop a while ago, so customers have many more options for payment. It's something I have wanted to do for a long time, but never found the right solution. Not only will you have these options during checkout, but I can accept any of these payment methods for custom work as well. In celebration of this momentous event (at least it is in the life of my shop!) it's free shipping until Monday, June 13th. Use the coupon code: credit during checkout! Here's the final large Tootsie from the newest group. This fabric is wonderful! Another larger scale print that took some consideration before using. I thought this print would be wonderful on a messenger bag, but when it arrived I wasn't sure it would work. But when I set out to make some Tootsies, I knew I had a winner! I wish I could show the beauty of this fabric in the photographs. It's amazing! On my never ending quest to add more inventory to the shop, I finished 3 new large Tootsie purses in the last week. This is the first one, Koi Collage. When I got this fabric I knew it needed to be used on a fairly large bag. I set it aside until I could decide how to use it. The large Tootsie seemed perfect. Not too small, not too big, just right! It's gorgeous, the colors seem to glow, they are so rich.